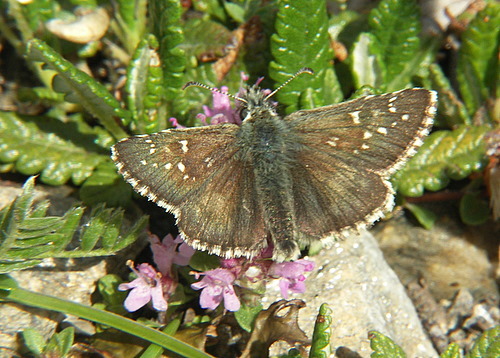 Early on the wing at high altitudes, and diificult to identify, it is quite conceivable that this species is more widespread than reported due to lack of visits during its flight time. 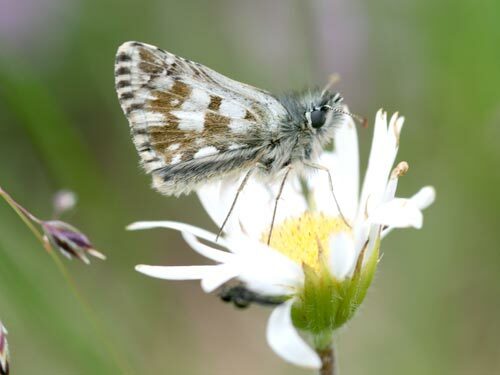 Identification & Similar species: Its small size helps to distinguish in the field from the other Pyrgus species with which it flies. 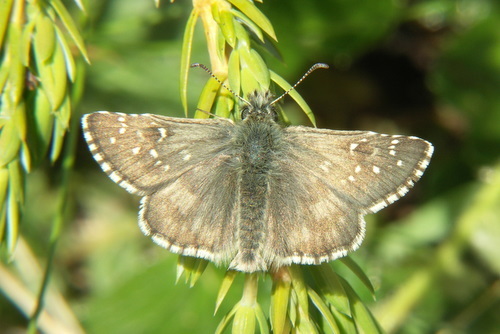 The upperside forewing spots are generally very small with pale scaling in basal area and a small basal spot (or pair or spots). 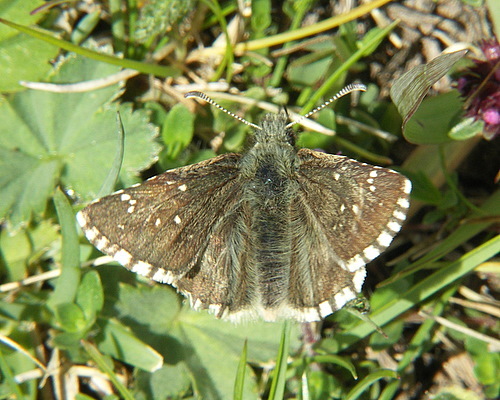 The upperside hindwing has a rectangular smudge in the discal area and a row of submarginal spots, equally indistinct but definitely present. 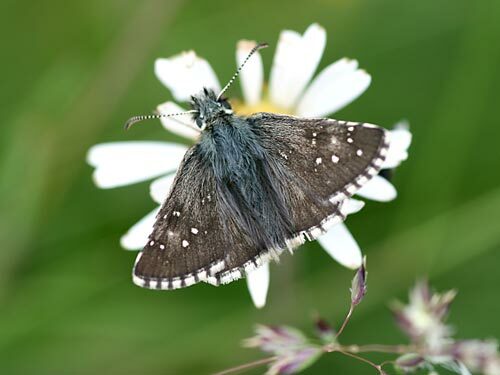 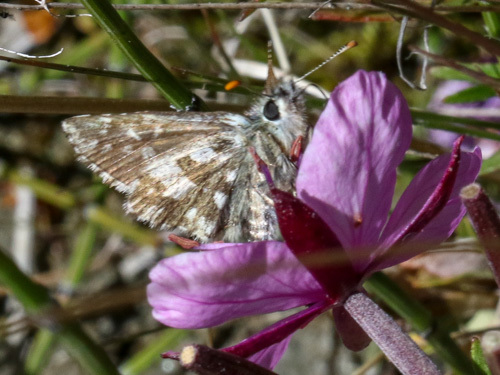 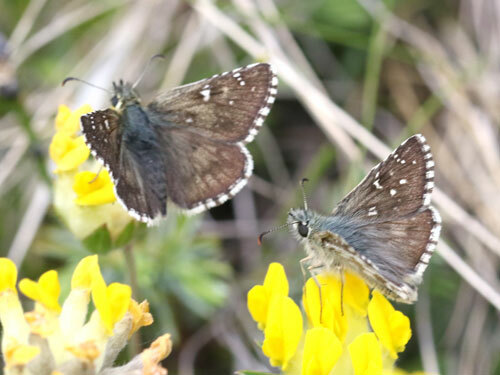 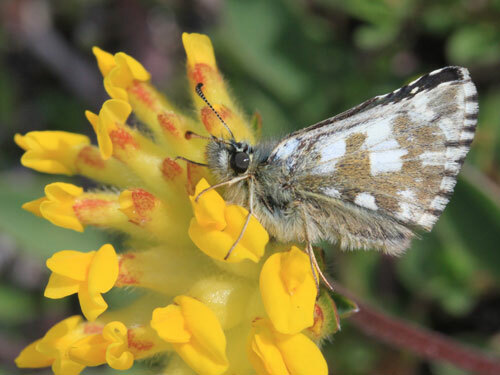 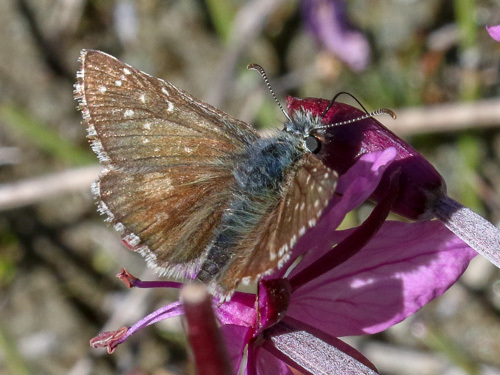 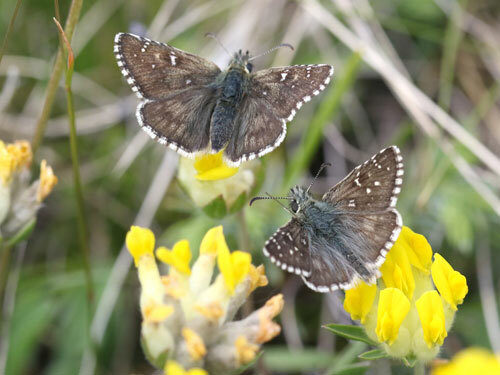 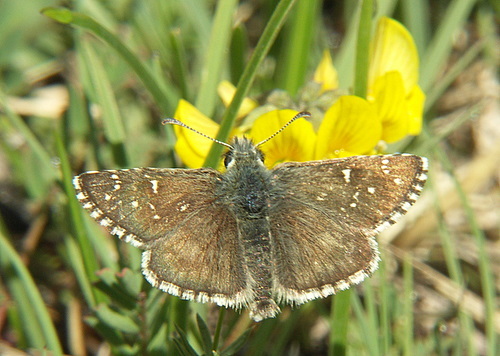 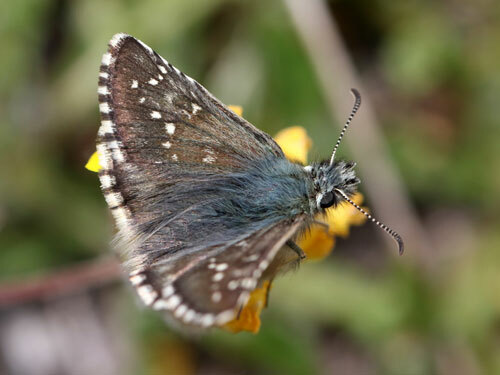 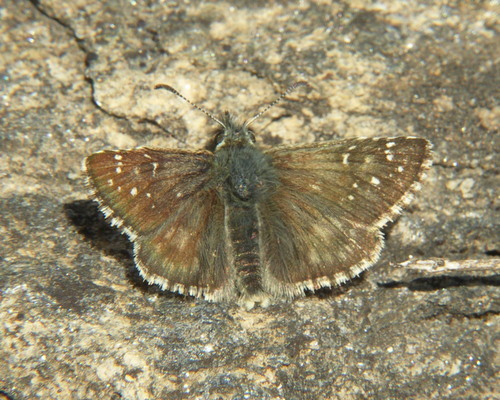 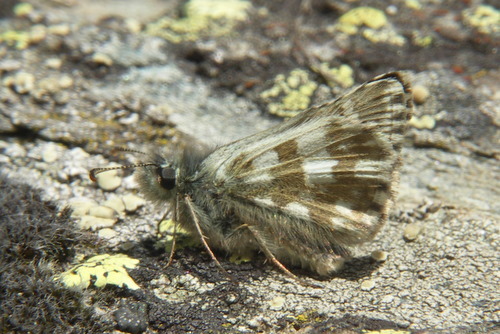 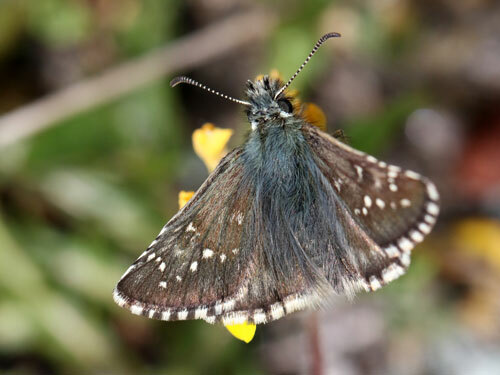 In a study in Switzerland there was only a very slight overlap in wing length at 14mm with the large grizzled skipper, P. alveus, its most similar relative. 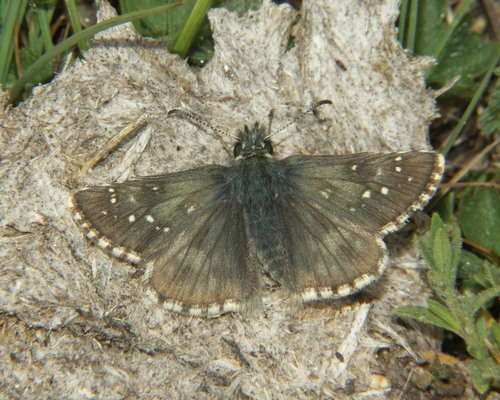 It also emerged 14 days earlier. 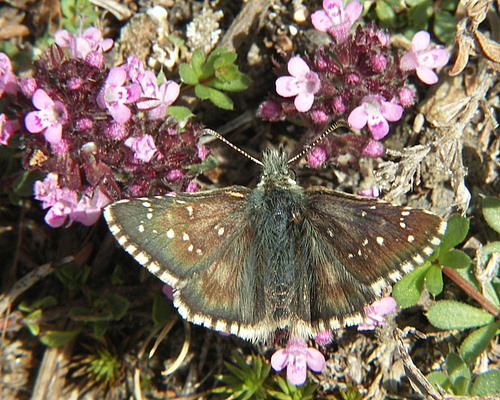 Distribution & Flight: Very local in the Alps of France, Switzerland Austria and Italy. 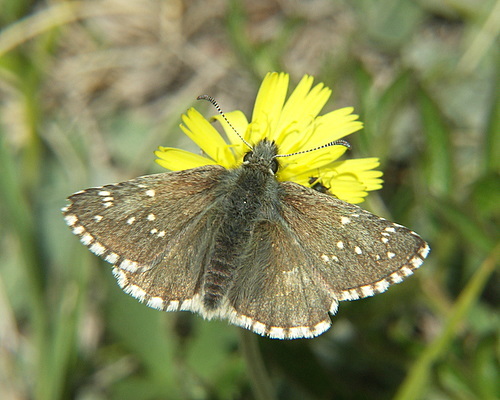 Probably end June to mid July from my experiences in Switzerland. 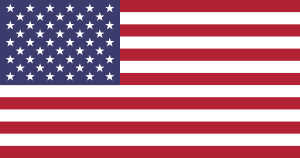 Reportedly July/August. 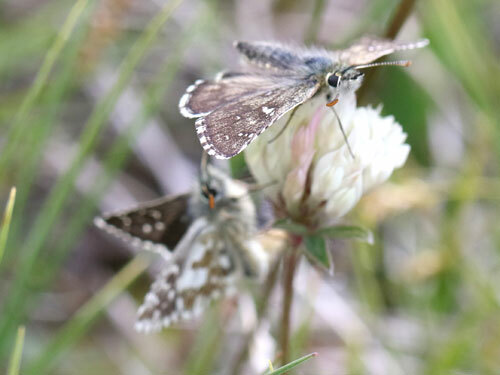 Habitat & Behaviour: Grassy alpine meadows with flowers. 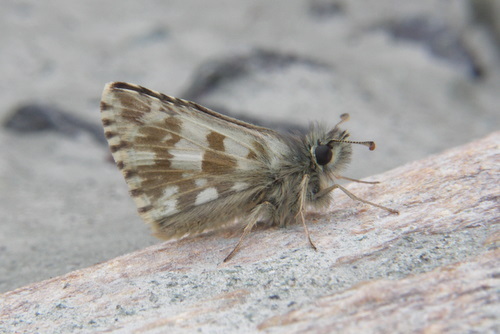 Appears to fly principally along low embankments beside streams. 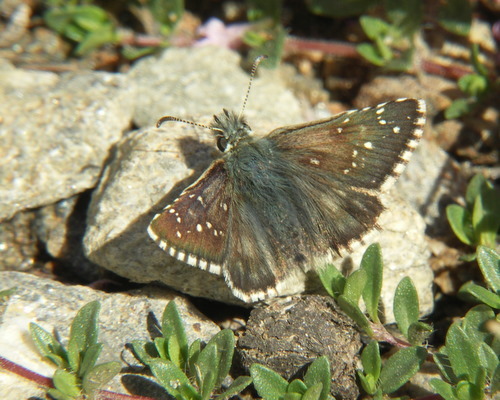 Also likes to perch on small stones where it basks in the sunshine.